EOTD and FOTD with COLOURFUL EYELINER!!! I am into an OTD mode now. 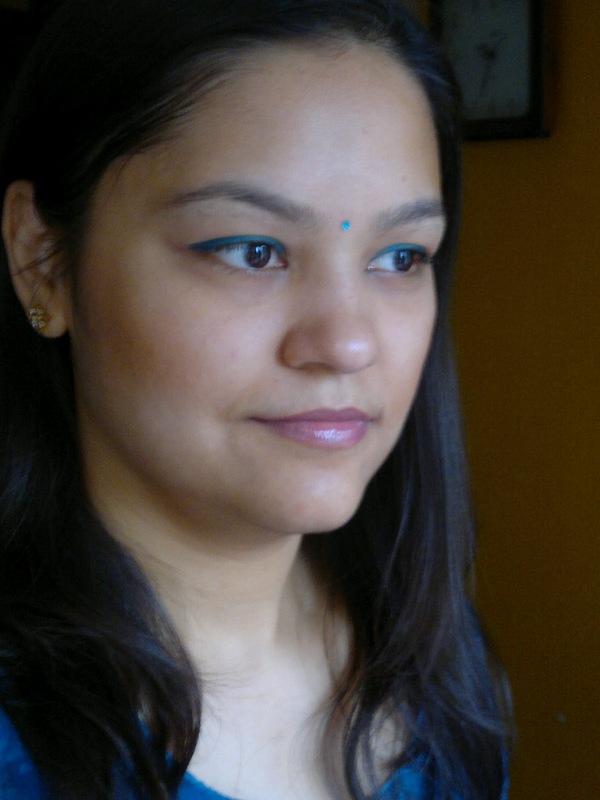 so, for today, I choose one of my favourite eyeliners from LAKME (glide on eye liner in Aqua Green, shown here) with pink lips. A very basic look, which is very wearable, dramatic, and colourful at the same time. Basically a very simple, but colourful spring makeup, which makes brown eyes stand out. Started out with Maybelline compact as base on eyelids, then applied Lakme glide on eyepencil only on the upper lash line (don't try using it on the lower lashes as it may make you look ill). Finish up with two coats of your favourite mascara. That's it!!! 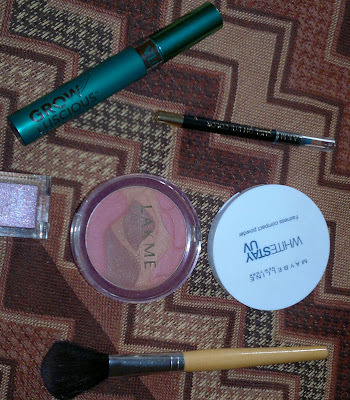 Eye makeup done, move on to cheeks, where I applies the Lakme earth rose trio blush (mixed all the shades together, that is how I like it). Finally applied the lip paint from the lip duo #26 on my lips using my fingers and ta da... Ready under five minutes flat. Hope you girlzzzzzzzz liked it!! 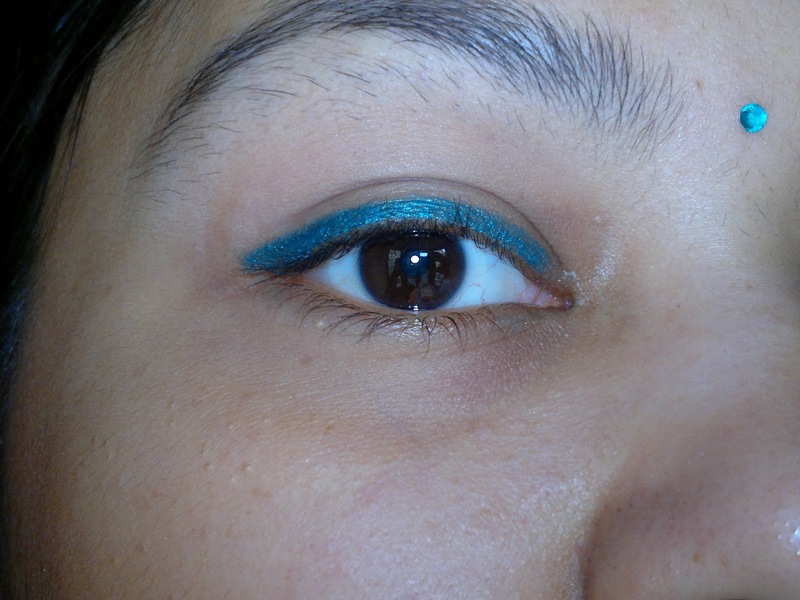 I love blue eyeliners. This looks really pretty. hi, kumkum i really liked the lakme glide on eye pencil and the lakme blush... i am your new follower.. plz do follow mine..